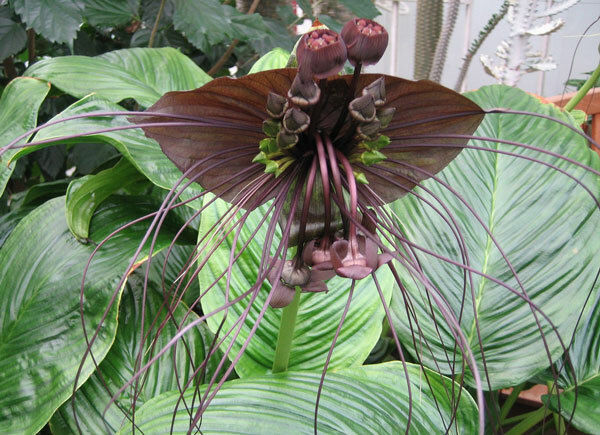 Eron spotted this “Bat Flower” at the Conservatory of Flowers in San Francisco. Cool – and it’s purple to boot! Good FSM! That there is definitive proof of intelligent design. Or, at least, fairly-smart-but-could-use-some-math-tutoring design.